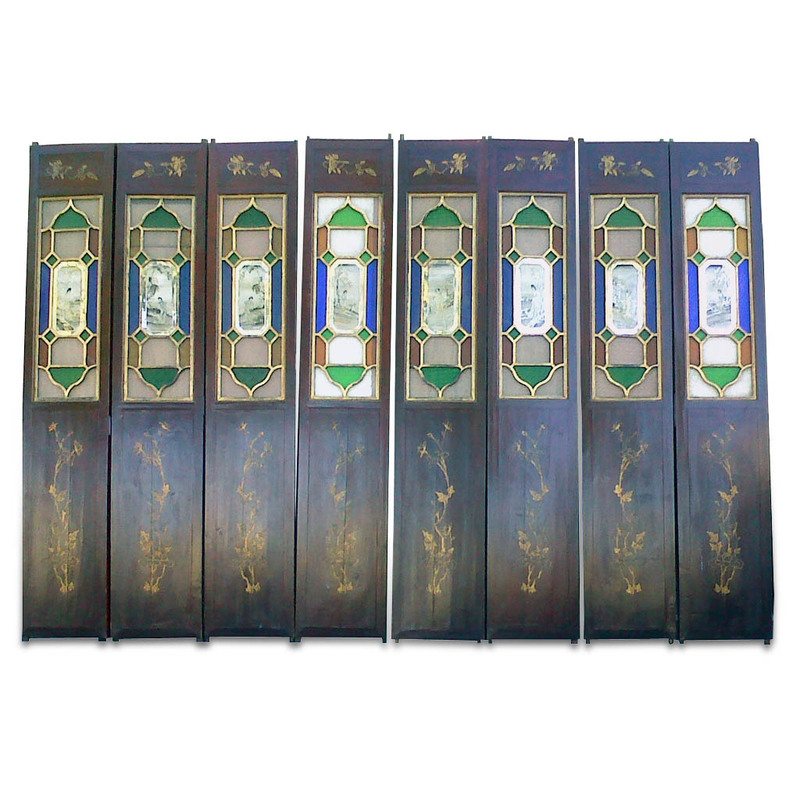 This rare set of eight screen doors is composed of carved wood with old glass in floral pattern in different colors set in geometry and dome shape frame with gold-leaf. 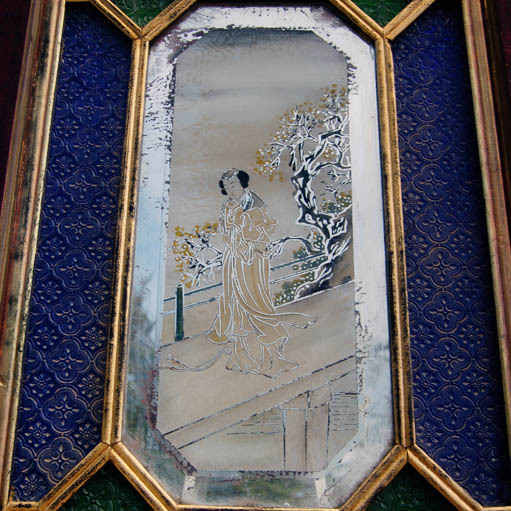 The center octagonal glass with a flat surface is etched and painted in enamel work with a different figure of a Chinese beauty in landscape for each glass. Doors like this carry the Gothic style glass artwork served as an actual supporting wall as part of the building architecture structure where the glass panels allowed for the light to go through and created an array of luxurious and lush colors within. 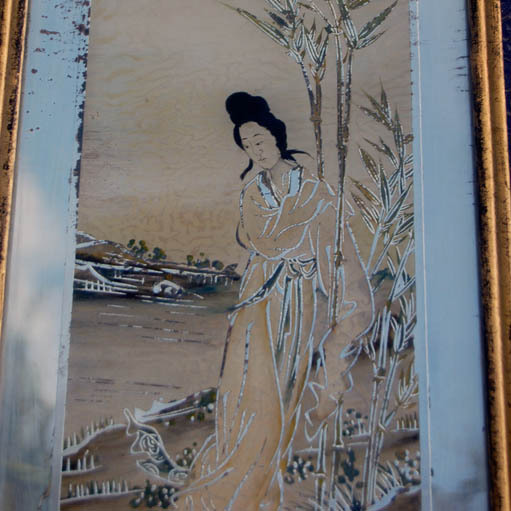 This set of screen doors with an European flavor might have come from a foreign settlement near Shanghai area. It possibly can be dated to the late 1880's.